The SR-4 Crosstown Viaduct project is an extension of the existing SR-4 freeway between I-5 and SR-99 in Stockton. 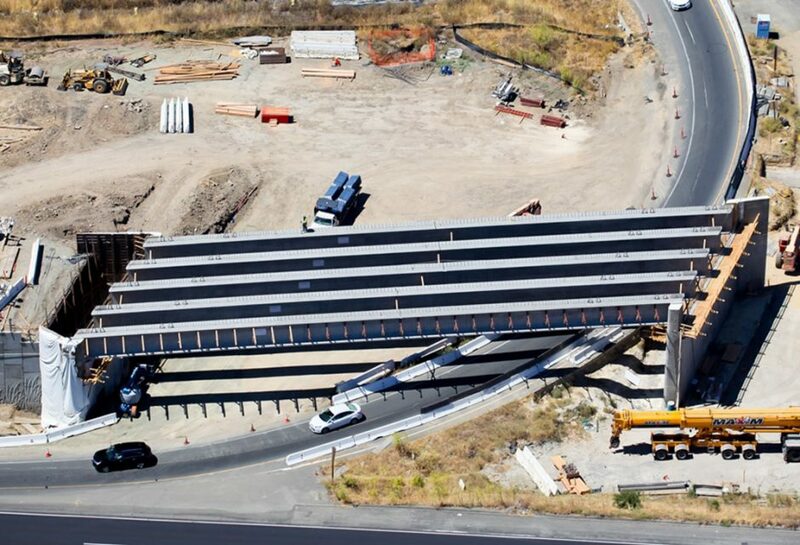 The new 2,855ft long viaduct provides an elevated roadway that connects I-5 to Navy Drive and the Port of Stockton significantly reducing the heavy truck traffic through the Boggs Tract residential neighborhood. Funding for the $52 million project was provided by Measure K and Proposition 1B. 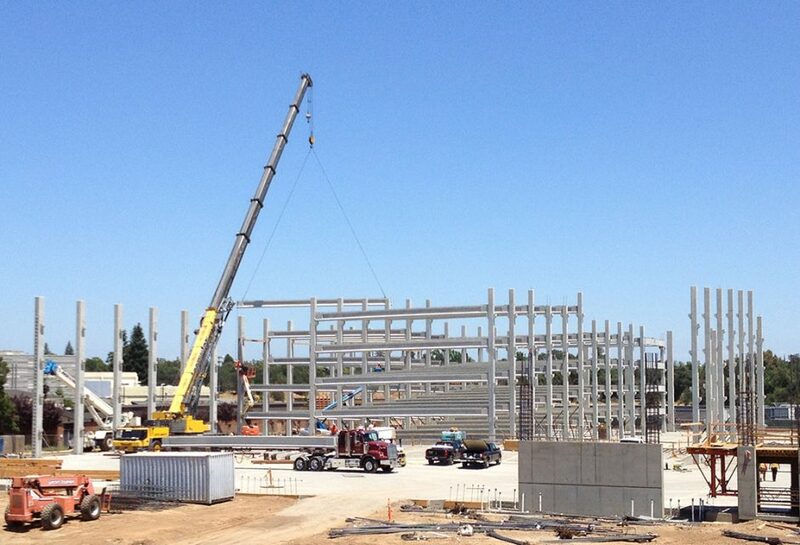 The general contractor, Brosamer & Wall out of Walnut Creek, CA, began construction in 2014 and the first girders were delivered in January of 2015. The bridge consists of 184 California Wide Flange girders, which is the new girder section adopted by Caltrans in 2011. The 21 span viaduct has 7 frames with girder depths varying from frame to frame as the spans vary. 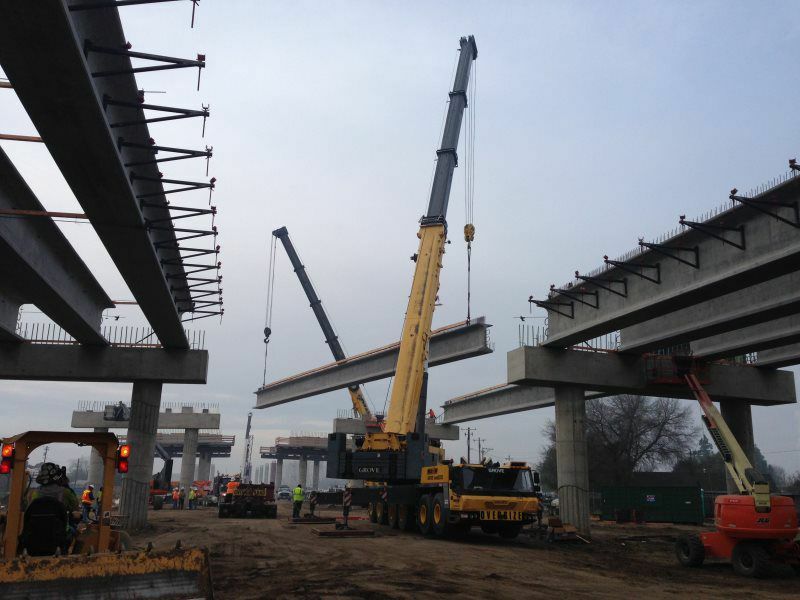 Frames 1 & 2 are 60” deep girders with spans ranging from 107ft to 115ft long. Frame 3 consists of three 165ft spans over the BNSF rail tracks and the Port of Stockton spur. This frame utilized 84” deep girders that were typically 158ft long. These 84” deep girders had a modified web thickness of 7” compared to the standard 6½”. The remaining 4 frames had spans ranging from 127ft to 148 ft and used 72” deep girders. The girders were erected in five stages with up to 8 girders being delivered and installed per day. Frame 3 presented several installation challenges due to its proximity to the rail tracks and required night and weekend work. The use of precast significantly reduced the construction time and enabled construction over BNSF tracks without falsework. 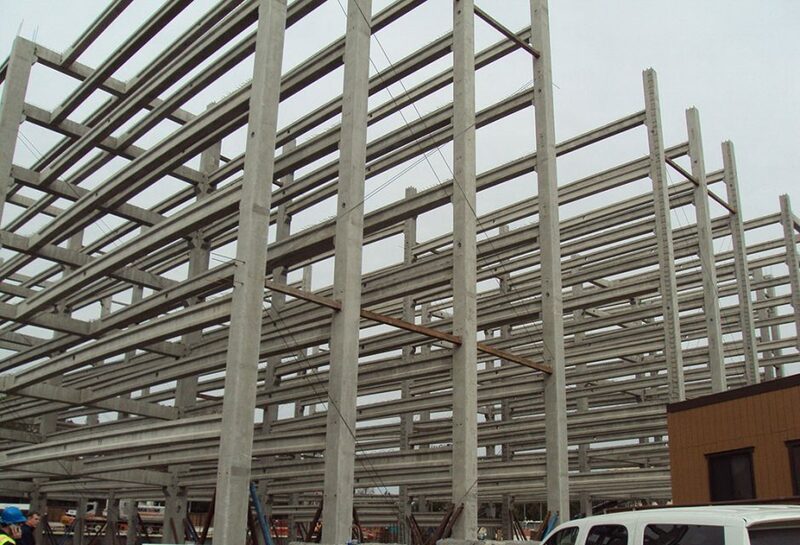 The use of welded wire reinforcement (WWR) and self-consolidating concrete (SCC) enhanced the production efficiency and proved to be the way forward in precast girder manufacturing in California. To date this project is the largest bridge project utilizing the new California Wide Flange girder shape and represents the future of bridge construction in California.